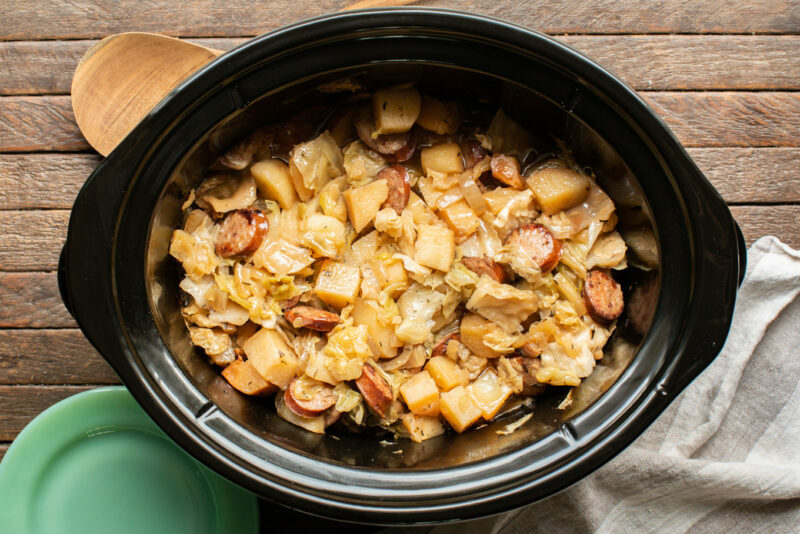 Slow Cooker Potatoes Cabbage and Kielbasa is a one pot meal full of great flavor! 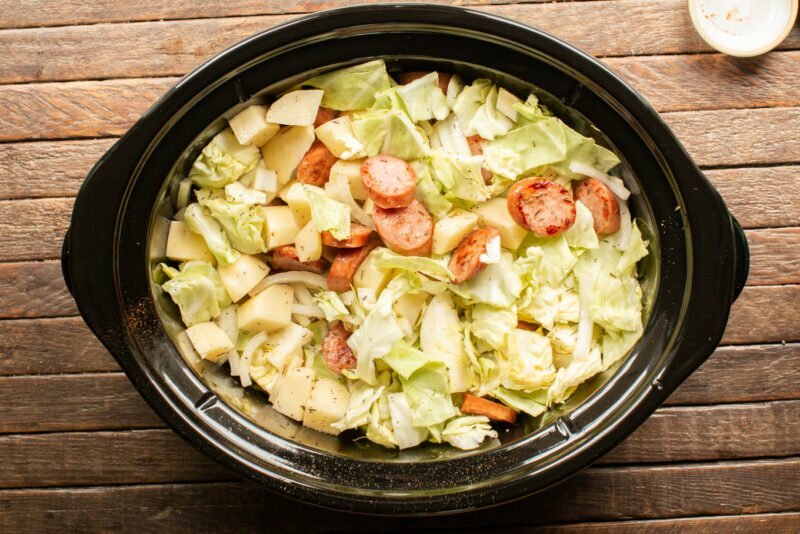 I’ve been seeing so many recipes with cabbage in them with them because of the low carb craze that is going on. 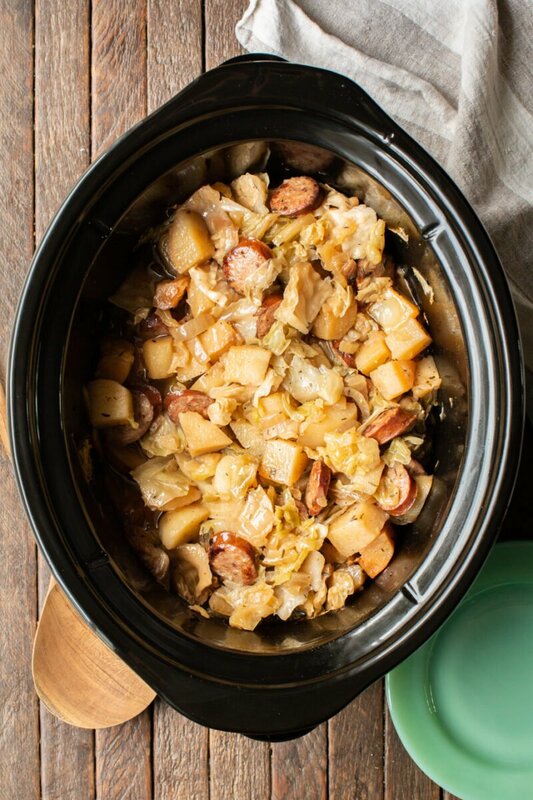 I added potatoes since I am not low carb so if you want to carbo load this recipe is for you! This recipe turned out far better than I expected. The flavors completly meld together for a perfectly flavored meal. 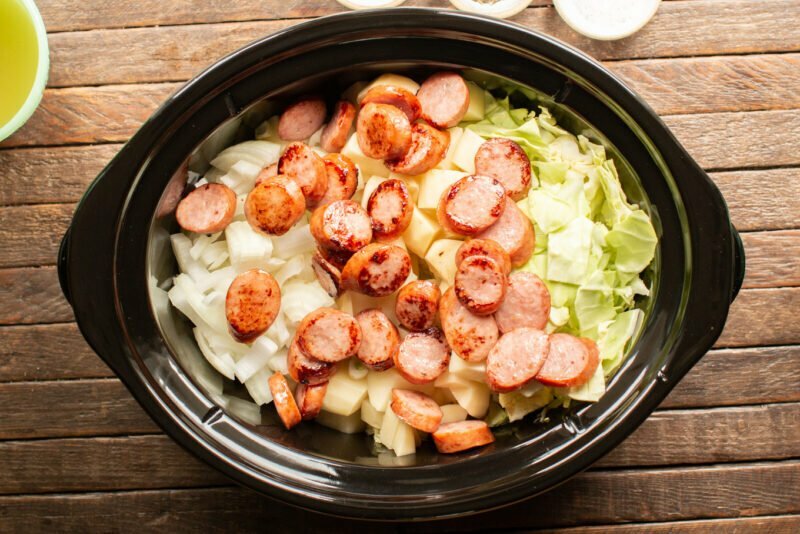 To make this recipe somehwhat healthy I found a no nitrate kielbasa. I will be making this recipe again! I think it would be a great recipe for a potluck. We loved this meal! 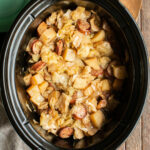 Such a change from a shredded meat slow cooker recipe. 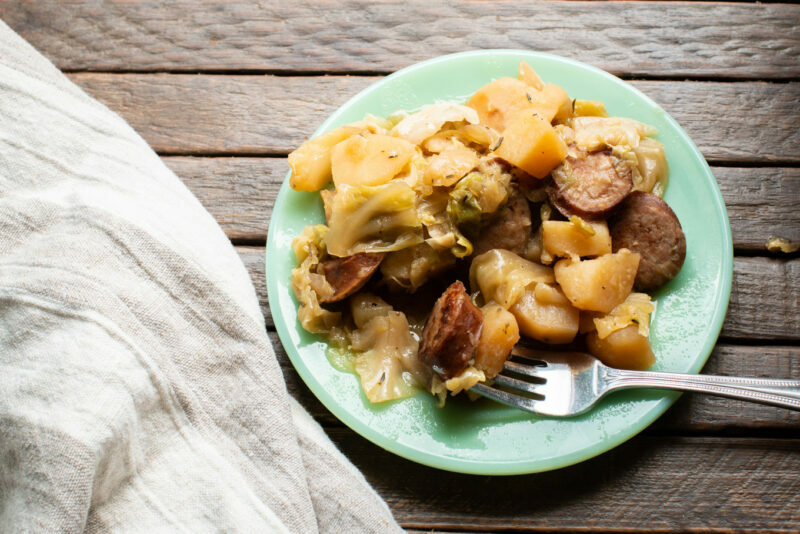 The entire meal is flavored from the kielbasa and the potatoes and cabbage are very tender. I think you’ll love it! Have a great week. 12 oz. 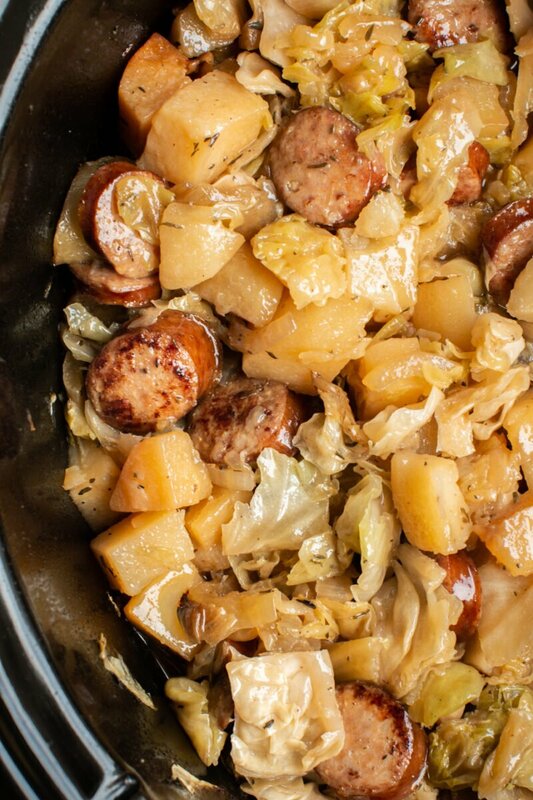 kielbasa, any kind works! Slice and brown the kielbasa in skillet on the stove top. 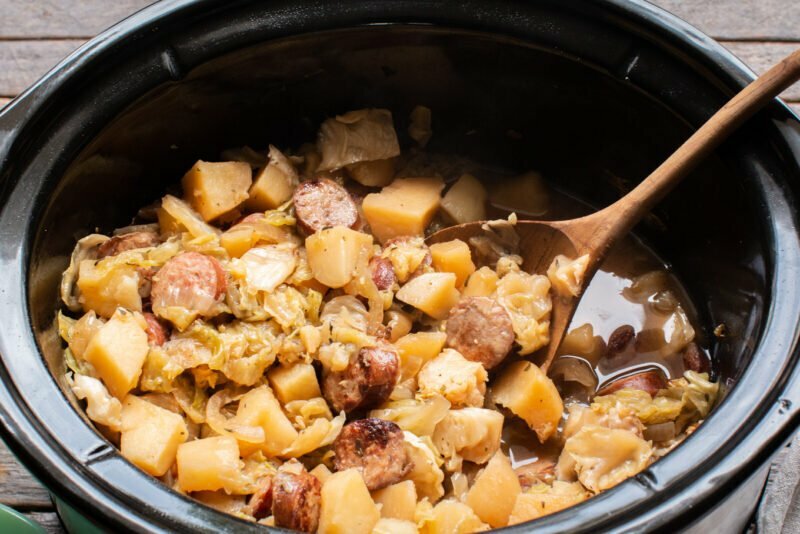 Add to the slow cooker along with the remaining ingredients. Stir. Nutritional values are approximate. If you require a special diet, please use your own calculations. Recipe values are for 1/8 of the recipe. I have made this recipe for years. 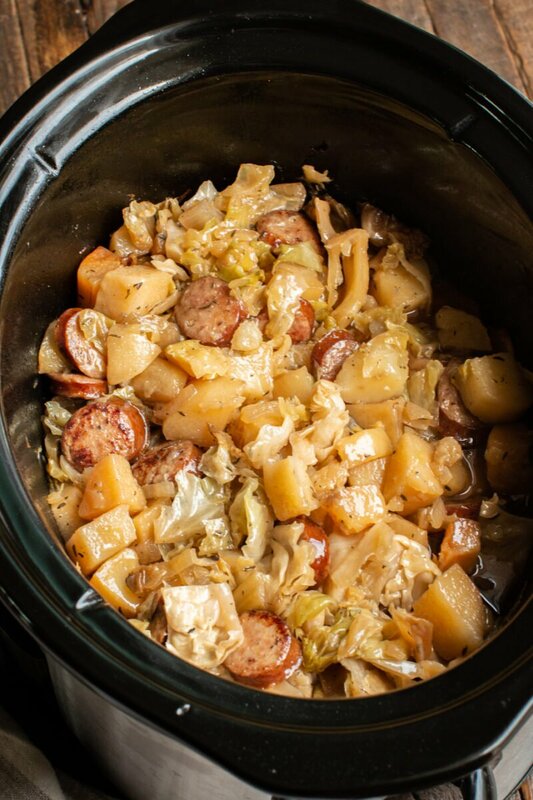 However instead of straight cabbage I use the bagged sauerkraut. It is delicious! Do you have nutritional information for your recipes since I am on a low sodium diet? where is the recipe format?? I clicked on print recipe and got it then took a screenshot of it since I access the blog from my phone. Maybe 4, and I’m not a big eater. What do I click to get the recipe ???? The recipe is in a box right below the photos. No need to click on anything. I also could not see the recipe on my phone, it does show up when using a computer. I think I’ve fixed it. Refresh and let me know.